St.Lucia lies in between Jamaica to its north, and Trinidad to the south of the Caribbean chain. Despite, having a Jamaican grandfather, and a father who went to school in Jamaica from Kingston College (KC) to University of West Indies' Mona Campus, I simply identified and took a liking to Trinidadians while I was in college. I blame a young Jamaican guy who was trying to spark a conversation with me on my first day of college who said, and I've translated, "Where are you from girl? .... St.Lucia? You from a speck!" Well, needless to say, I was not impressed, insulted to be honest. Since then, I don't usually gravitate towards Jamaicans, 'though I have Jamaican friends! My brother on the other hand, loves all things Jamaican. ... And I always see a clear cut difference in our personalities, due to the islands and cultures we identify most with. Best described, "My brother stands on the side lines and plays cool, while I like the bachannal!" So with Trinidad Carnival, only weeks away, I am focused on all things Trinidad Carnival 2011, particularly the soca releases. Yet, Jamaica seems to be fighting for some of my attention. LOL! Yesterday, CNN Atlanta News reported that “Jamaican Dance Goes Global” featuring the a video from last year of Vybz Kartel & Popcaan’s chart-topping ‘Clarks’ song that was featured on an episode of ‘So You Think You Can Dance Canada,’ a dance reality show and competition that airs on CTV. Also featured was dancehall choreographer Jae Blaze, dancehall performer Skeritt and video clips from Youtube. It's funny the timing of everything too ... 'cause yesterday, I posted this video of a dancehall queen. "She's straight bad! .. And when she lands sideways to the floor. Killah!" 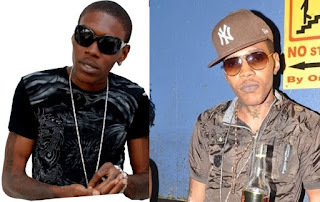 Also my favorite, and the very Jamaican dancehall artiste behind 'Clarks,' Vybz Kartel has made it to American gossip blogs for bleaching his own skin with cake soap. 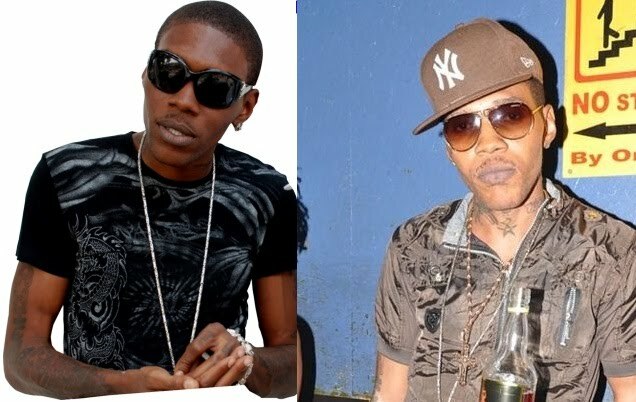 Vybz says his skin lightening is similar to tanning. Read more: Necole Bitchie and TheYBF. Kartel's recent response on bleaching his skin ... he does have a point and why do you care? My response to Vbyz Kartel's need to bleach, "NO COMMENT!"